Edge Trim Recycling Machine | PLASCO ENGINEERING INC.
JC-EcoTrim Series - Edge Trim Pelletizing Unit was introduced on the basis to the subject of “Green Eco-Friendly” awareness to the film production industry. 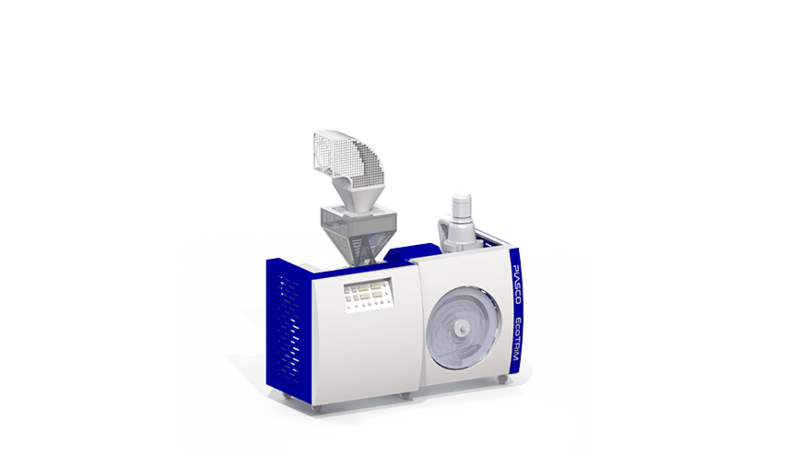 The unit cleverly integrated advanced structural design with innovative concept for pelletizing and reclaim of trimmed film edge uninterruptedly within its system. 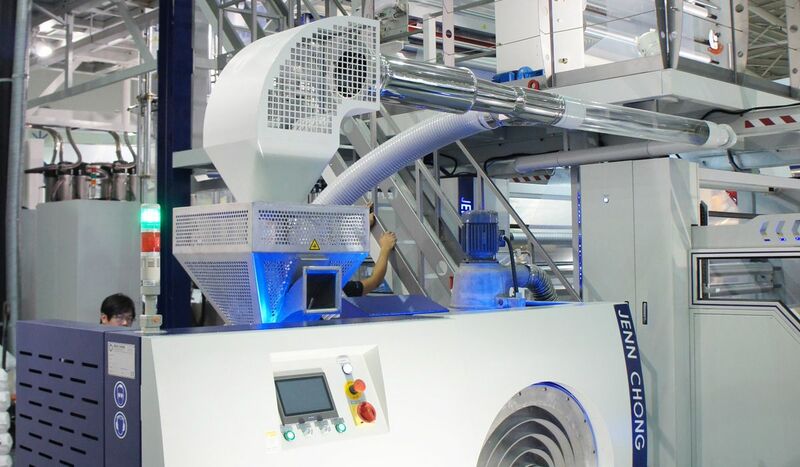 The process starting from edge trim feeding, plasticizing, pelletizing, cooling, and reclaim, all in one complete procedure promised to save labor cost, power consumption and process time.